Looking for a backdrop for some imaginative play? We’ve found it with these sweet little scenes. 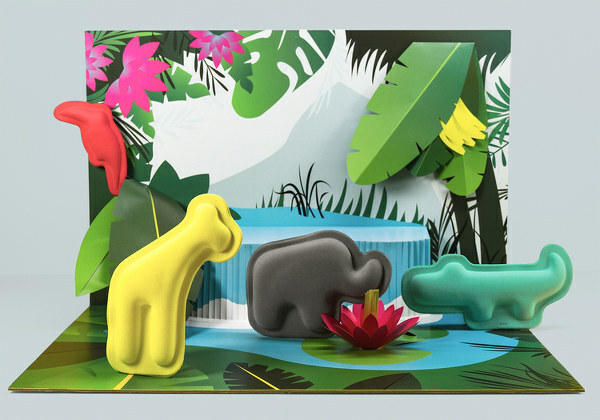 Animal-loving kids are sure to get a kick out of the latest offering from Spanish design house PCM, who have created these fun tropical and polar backdrops just ready for a host of animal stories. The backdrops themselves are called Policosmos Pop-ups, and they’re made from colourful cardboard which pops out into a three dimensional backdrop. Although they don’t look big in the pictures, they’re each more than 70cm long which provides a fairly impressive space for play. There are two available, a tropical jungle scene and a polar scene. To go along with the cardboard scenes, PCM also produce Policosmos Families, little microfibre animals which can be used to enact stories on the Pop-ups. 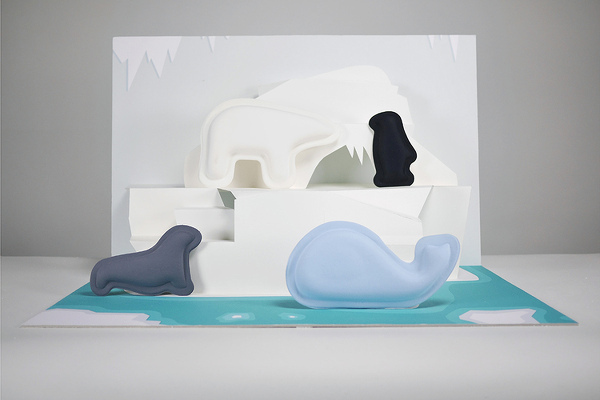 The animals have simple and easily identifiable shapes that young children can play with, and there are two sets, one each for the polar and the tropical scenes. Policosmos Pop-ups are €40 each, and each Policosmos animal is €14. You can see the whole range and buy them online at PCM.